The end of January snuck up on me... 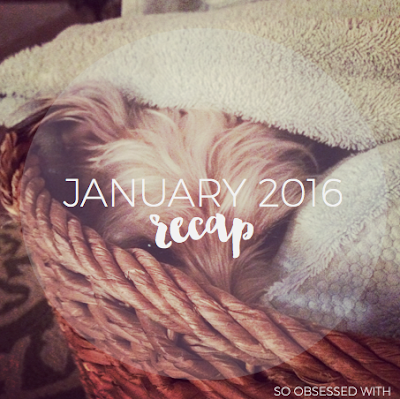 I feel like I was just wrapping up 2015 and kicking off the new year. It was a slow month for me, despite the fact that I feel like it flew by, but I thoroughly enjoyed it! 1. Georgia's Tiny Snowfall - There were cities across the East Coast that were blanketed in snow due to Winter Storm Jonas, but we just got a light dusting here in Georgia. It was lovely to see a bit of winter weather but know that it would melt away the next day. But I still spent a day snuggled up at home! 2. Saying Goodbye to #OTSPSecretSister - January marked the end of #OTSPSecret Sister, and I finally learned the identity of the generous and lovely person who has been spoiling me month after month - Kate from Ex Libris! I'm so glad I participated in this project, and I'm thankful for the cheer in brought me the past six months. 3. Folio Books from Nick - Nick bought me my first Folio Society books for my birthday last year, and he continued the tradition this year. My obsession continues, and my collection grows! I'm in love with these editions of Jane Austen's Letters edited by Deirdre LeFaye and Wives and Daughters by Elizabeth Gaskell. 4. Family Birthday Celebration - My birthday is February 1, but I celebrated a little early with my family! I spent a Saturday afternoon shopping with my mom and sister, which was absolutely delightful. Then, I had a delicious home-cooked meal with my family followed by my favorite - red velvet cake! “What if we had a chance to do it again and again, until we finally did get it right? 1. If You're a Stressed Book Blogger, Why are You Doing It? by Ashley from Nose Graze - I can't tell you how many times I've thought some of the things Ashley says in her post! This was a great reminder that blogging isn't meant to be stressful and that you can always just stop doing certain things. Why blog if it's not fun? 2. The Dish: Learning to Simplify by Cassie from The Casserole - I can't resist a good post about simplifying your life! I like that it's one of Cassie's goals for 2016 since it's something I'd like to do, too (though in other ways). It was fun to see Cassie's new rules and how she's applying them to different areas of her life! 3. The books you categorically don't read. by Anne from Modern Mrs. Darcy - There are definitely genres and topics that I avoid in books, so I appreciated reading Anne's thoughts on the subject. Plus, the comments on this post were fantastic! I loved finding out what other people prefer NOT to read. 4. A lot of baby-related posts - Almost all of the posts I read and bookmarked in January fall into this category. I've got so many pinned on a private Pinterest board! It started because I was researching essential baby products and spiraled from there... packing your hospital bag, building a baby library, etc. I haven't finished this audiobook yet, but I'm absolutely in love with Pike's narration! I haven't wanted to listen to music in the car because this re-read has been calling my name. Downton Abbey, The Final Season - I was sad when I found out that the sixth season would be the last for Downton Abbey, even though I wasn't totally surprised. It was probably time to say goodbye! I bought this season on DVD as soon as it came out and binged it immediately. I thought the first half of the season was a bit uneven (as is the show overall), but I loved how it all wrapped up in the end! Thank you for reminding me that Life After Life's follow-up is STILL gathering dust on my shelves! I absolutely loved LAL and have been wanting to revisit it before diving into A God in Ruins...but somehow never made the time. 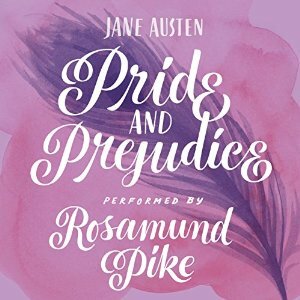 I'm pretty sure you know this, but I'm a Jane Austen newbie. I've been wanting to finally (!!) read her work and I'm thinking an audiobook might be the perfect way to start. Gaston is such a cute little book! Getting back into picture books is probably one of my favorite things about being a mom. There have been so many great books published! I FREAKING LOVE THE PHOTO UP TOP <3 Also, yay for having a lovely January, Hannah! I'm happy that you had early birthday celebrations + gifts, and that you've been enjoying yourself as you get ready to have this baby. I'm also REALLY pleased that Passenger is one of your favorite reads of the month! It makes my heart so happy, because I LOVED that book. And I'm quite excited to see The Selection series in your TBR! It's not the greatest series ever written, but my goodness, it was SO fun to read. At least for me. I hope you enjoy it! Happy February, and happy birthday month! Happy belated birthday, Hannah! I hope you had a wonderful day! I used to really love Downton Abbey, but I sort of lost interest in it after season three. It's just sad to watch it now that two of my favorite characters are gone.